How to choose the best hairstyle according to the face shape, each person's face contour, facial features are not the same, so in the choice of hair style to avoid weaknesses, you can comb out a variety of suitable for their face beautiful hairstyle. When analyzing your face it's best to comb all your hair into the back of your head with a towel or a hairband, face the mirror and take a closer look at yourself. Rough to sub-human face can be divided into seven types: diamond face, inverted triangle face, long face, oval face, round face, round face, triangular face. Characteristics: The forehead and jaw contours are narrow and the cheekbones are broad and high. Avoid: Short hair with a layered hairstyle. A straight look makes the chin of the face look very sharp. 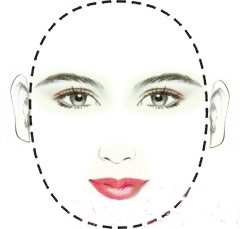 Fit: Creates the width on the forehead reduces the width on the cheekbone. The fringe, which is wide and several pinches of hair, softens the hairline and makes the face less rhomboid. If you have a high, narrow forehead, you can cut high bangs on the eyebrows to make the forehead feel shorter and narrower. A more rounded shape on the chin would be more distinctive. 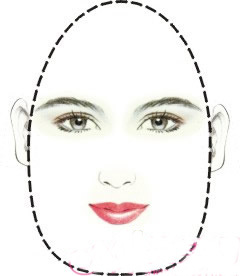 Hair design should focus on reducing the width of the cheekbones. Girls are advised to perm their hair, then tilt the hair close to the cheekbone forward to cover the cheekbones. Blow the chin part of the hair more fluffy. Avoid the forehead, and do not comb the sides of the hair tightly behind the head(e.g. ponytail or high disk). Characteristics: The jaw contour is narrow. The forehead and cheekbones are broad. Avoid: The length of hair on the nape of the neck is too short. Fit: Liu Hai also try to cut some short, and make a jagged effect, revealing a false cover of the forehead, shift the focus of the broad forehead.Hair longer than chin line one, let hair natural droop inside curl. Side hair style longer side, make a wave to skip the frontal side. Increase the width of the mandibular contour. 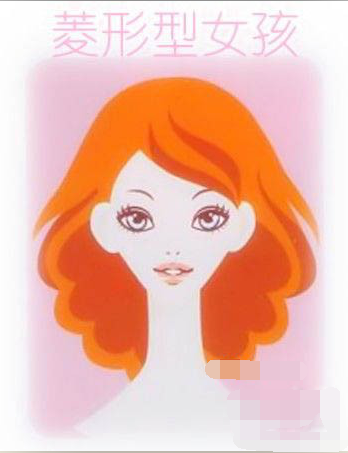 Long hair high level, in the chin below the length of hot curl or micro-curl. Hair styling should focus on reducing the width of the forehead and increasing the width of the lower part of the face. Specifically, hair length should be medium or long with drooping shoulders. Hair styles should be medium or slightly lateral.The big wave of fluffy and soft hair tip can achieve the visual effect that widens chin, add a bit of charm more. Features: The face is longer than the face. The cheeks are long and straight in outline. The forehead is high and the chin is long, showing an elongated rectangular face. Avoiding: Skew bangs can expose excessive hairline, adding longitudinal lines that are considered taboo for long faces. 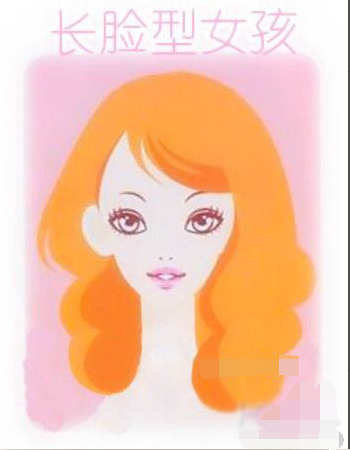 Form horizontal, zero-layered straight hair on the chin. No bangs. Hair style that adds height to the top of the head. Fit: The length can cover the thick, wide bangs of the eyebrows. Bobo hairstyles that curl at the end to increase hair volume to balance the long face. 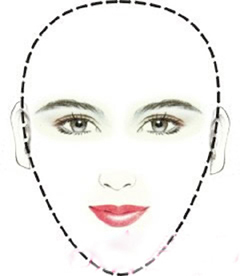 Enhance the width of the face and modify the crown area to round the sides more richly. A 7:3 bias can be used, or a little more, to make the face look wider and shorter, with hair wrapped in a downward direction, preferably in soft, fluffy curls on both sides and slightly longer on the back.Hair styling should focus on shortening the length of the face and increasing the effect of face width. It is advisable for women to have medium and long hair with a full chin. More bangs on the forehead, full and fluffy hairstyles on both sides, not clinging to the cheeks. It is advisable for men to have separate hair and slightly cover the forehead. Features: Curved shape. The face is about half as wide as the face. The width of the forehead is about the same as the width of the lower jaw. In the eyes of experts is a perfect face, long hair and short hair are appropriate, can be bold to try any hairstyle. It is characterized by a distance of about one third of the face from the upper forehead hairline to the horizontal line of the eyebrows; another third from the eyebrows to the tip of the nose; and a third from the tip of the nose to the chin. The face is about one and a half times the width of the face and the forehead is wider than the chin.It is also known as the standard duck egg face. It can generally be fitted with any hairstyle. However, other factors such as age, silhouette, distance between the eyes and whether or not to wear glasses should be considered when choosing the best hairstyle. Features: Round shape. The distance between the forehead and chin is equal to the distance between the cheeks, that is, the length of the face is approximately equal to the width of the face. Avoid: curly hair styles, as these will be more emphasis on round and plump. Avoid long hair and hair in the direction of the back of the hairstyle. 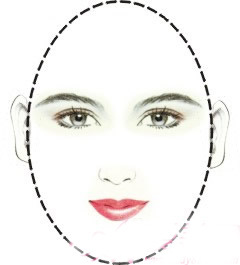 Elegant bangs on the brow, but also because of the emphasis on the horizontal lines, so that the face is shorter, so that round face can never escape childishness. Fit: Short hairstyle with thin sides. Skewed and layered hair curtains make the face look slender and naturally connect with the hair on both sides to create a flowing droop.Inward, short layered hairstyle. Increase hair volume at the top of the head to increase height, exposing short hairs on both sides of the ear (Short layers). Short fringe of slightly narrower width. 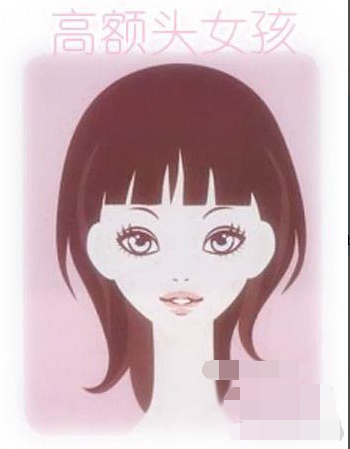 Round face person, hairstyle can adopt 6:4 proportion of partial, this can make its face look narrower, if can make Liu Haier thicker, with waves, this illusion and the effect of harmony, can make round face contour appears more beautiful.Round face type people had better choose a higher hairstyle, keep a side bangs, it is advisable to wear long pendant earrings. Round face type men's hairstyle is best on both sides is very short, the top and hair crown slightly longer, side parting. Hair will blow the top of the head a little loose, look a little longer face.Women's short hair can be asymmetrical or symmetrical, with bangs on the side, or with some hair blown in the front half to cover the face and cheeks, and hair blown higher on the top of the head. Characteristics: The forehead is distinctly wide. The lower jaw is wide and angular. Very strong mandibular contours and face contours. Avoid: hair parting, hair direction back hairstyle, geometric straight cut fringe, because these will be more emphasis on square. Suitable: natural big wave curl is the best way to modify the square contour, the top as possible fluffy, there is a natural bent hair tip of the partial distribution curtain, will ease the square face of the hard contour line.The width of the bangs narrows, and the long, crumbling bangs make the hair on both sides close inward, making the whole face look narrower. 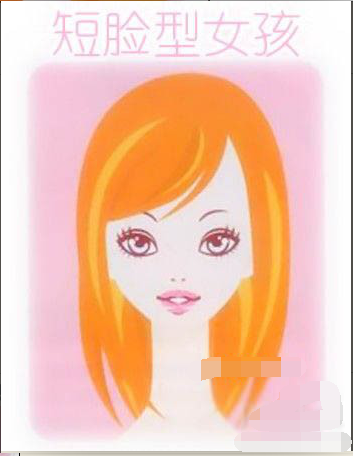 The middle or 4:6 side can be chosen, with the front hair as soft as possible to expose the facial contours below the ears. Hair styling seeks to visually elongate the face. 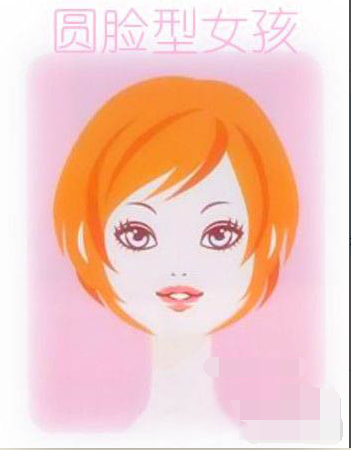 For women, it is best to cut asymmetrical mid-length hair, either with more hair on one side, less hair on the other, or shorter on the other.Another way is to cut short hair that is symmetrical on both sides and pull the ends of the hair on both sides forward to the top of the cheek to cover the square jaw, creating an oval-shaped visual effect. Characteristics: The forehead and cheekbones are narrow. The lower jaw contours are broad. Avoid: Increase the width of the mandibular contour. Low level or tail curly hair styles, as these will make the lower part more rounded and plump. It is characterized by a narrow forehead and a wide chin. To cover its defects, the height and fluffiness of the hair on the top of the head should be increased, and the fringe should be left on the side to change the vision of a narrow forehead.Hair length to be more than chin, avoid short hair style. If hot better, easy to make big waves, soft hair attached to the face gills. 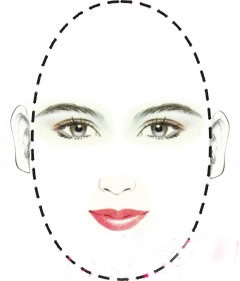 The emphasis is on softening the lines of the face, so the head must be covered, elongating the proportion of the face.If you want to keep Liu Hai take the side points, the line from one side of the middle of the eyebrows up diagonally, if it is a clear straight line, it looks like a square cut into two rectangles, can not improve the shortcomings of the square face. If you have long hair or a high-level hairstyle, bangs are a must, because bangs can modify a angular face, but if you cut a low-level hairstyle, you don't have to have bangs. 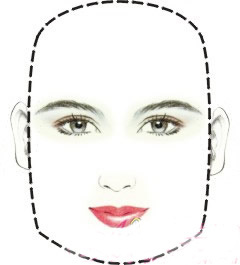 People with rhombus faces usually have sharp jaws, so you need hair on both sides of the chin to get the effect. 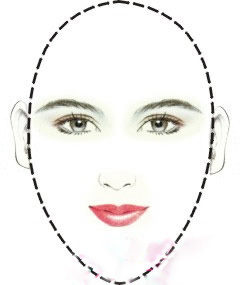 Basically with the square face, the top of the head to create a fluffy feeling, haircut, then the edge of the hair line can be forward, so that the face does not look too round, as for bangs can not be shorter than the eyebrows above, otherwise it will make the face look more rounded. Characteristics: The proportion of the forehead, longer than the brows to the nose, and the part of the nose to the chin. 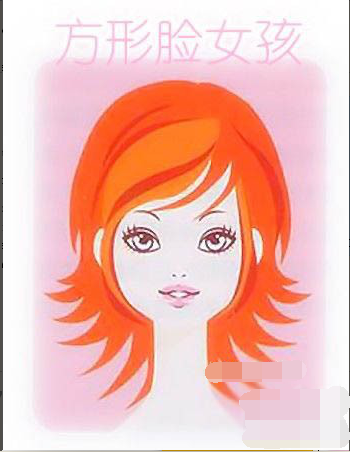 Hair cutting can try to short hair styling, and to stay bangs cover too high forehead, in addition, no matter what you want to cut bangs, bangs must have thickness, rather than only a few less bangs on the forehead, so as to achieve the purpose of modifying the forehead too high. No haircut is too short.Because cut to the ear above, your face above occupies 1/4, below occupies 3/4, lets the face become longer! Do not play too high level, it will make the face of the upper half of the hair Peng, face looks longer! The forehead of the part can stay LiuHai ingeniously covered, but the part covered not too much, while LiuHai as far as possible side points, exposed some forehead, you can visually make the proportion of the chin and forehead look similar, you can modify the chin shorter face. Basic knowledge of photography and photography skills!